A play type of whiteboard is meant to illustrate something that takes place on the pitch. 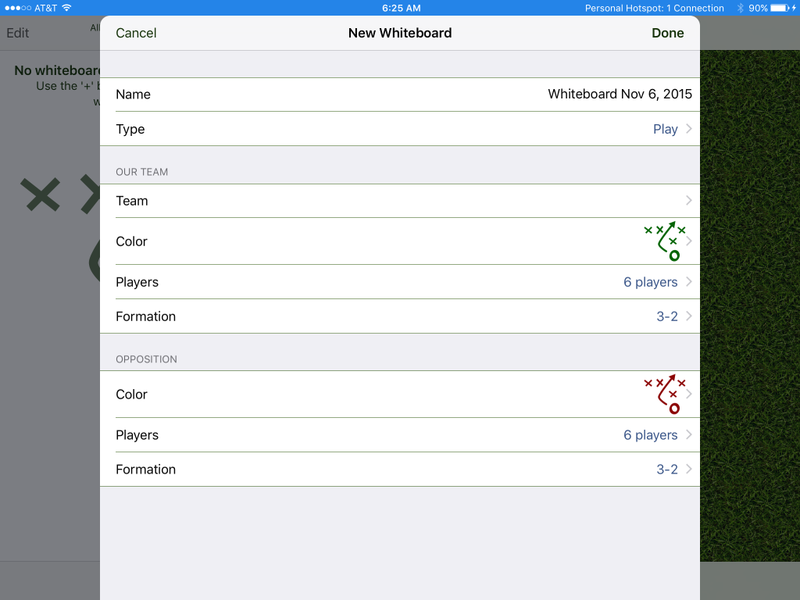 It includes two sets of players in formation. 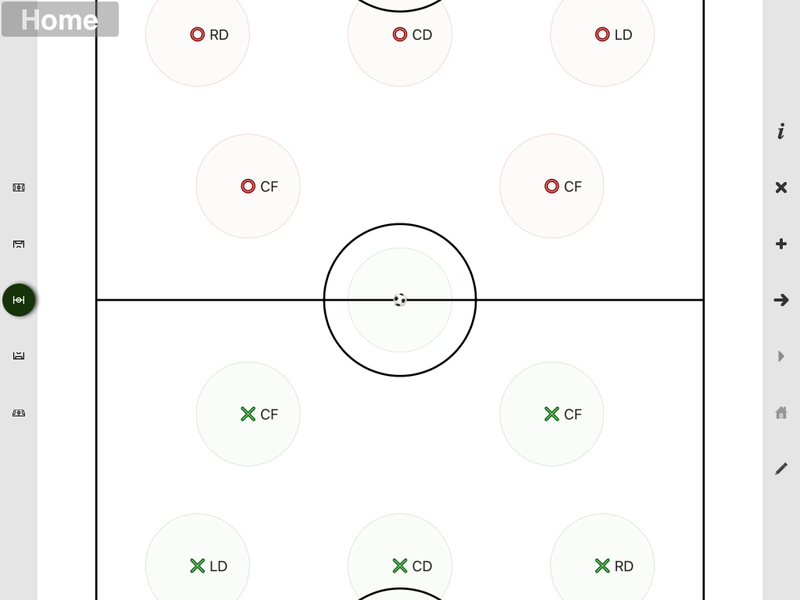 A drill involves up to three groups of players and can optionally include a pitch background. There is also a "perspective" mode that can be toggled on and off. The view that you set when developing a drill is saved and redisplayed when the drill is played back. The whiteboard will smoothly animate between the different views. One of the best things about touch devices is the ability to touch the things you want to move and just move them! One of the issues with this with something like the whiteboard is that the things you want to move are small and once you touch them, you've covered them up and can't see exactly where you are moving them. The whiteboard used to draw grey circles around the items to indicate where you could touch and this has been cleaned up in the new version. They just look better and when items get close, they are drawn intelligently so that you still know where to touch to move each item. Especially when designing drills, you often want to add other things to the whiteboard (e.g. cones). This is achieved by tapping the '+' button. 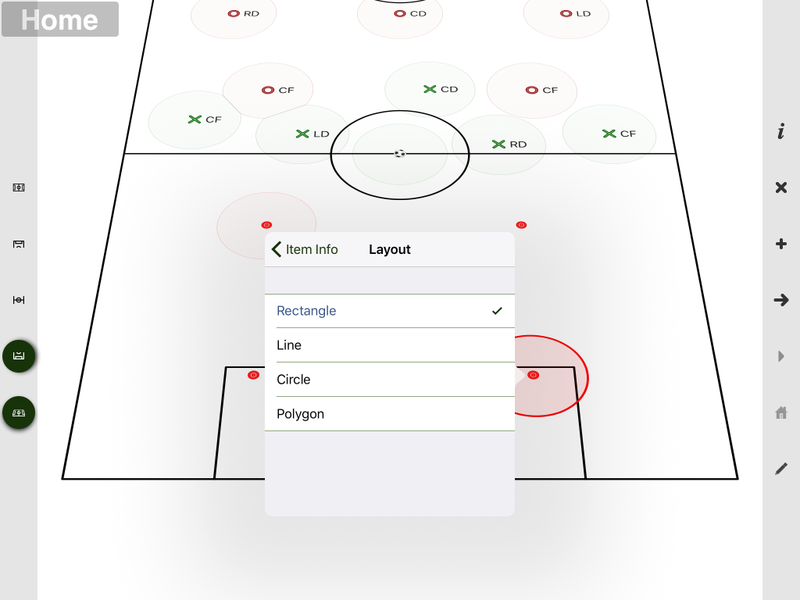 As you can see below, you have the option to add an individual shape or what it called a layout (essentially a geometric arrangement of shapes). 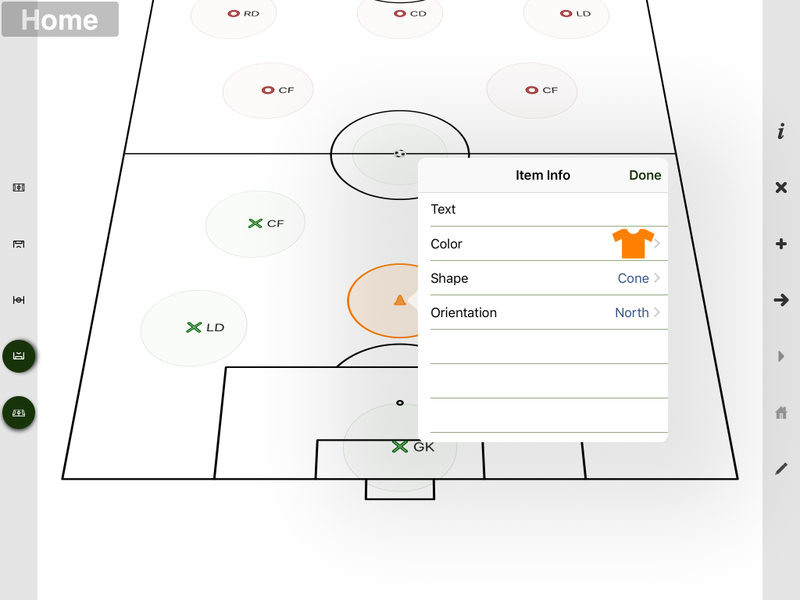 Once you have chosen to add a shape, a popup is shown containing all the properties that can be modified including the text, the shape color. Different standard shapes can be selected. Also for some shape types (e.g. 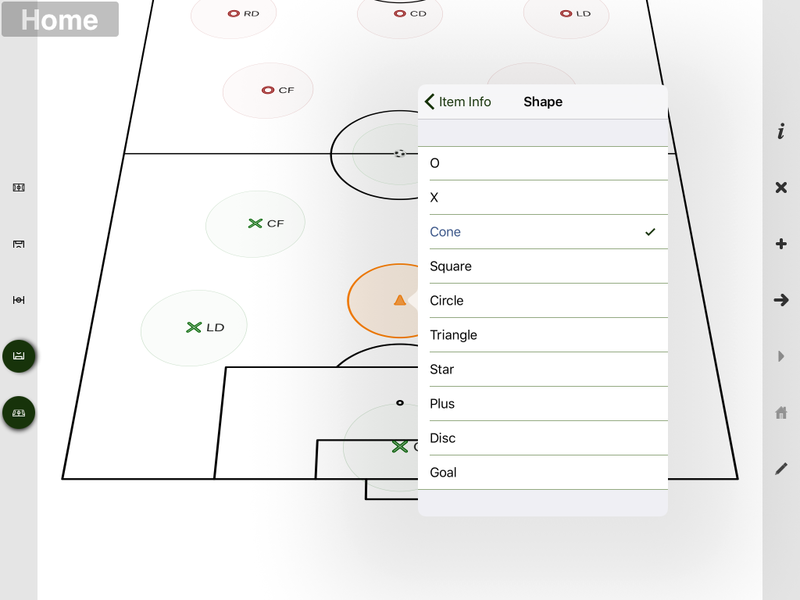 popup goal) it is important to control the orientation of the shape. The other classic thing you want to be able to do is set up some type of layout of cones (e.g. a rectangle). Sure you could do the work yourself by adding individual shapes, but layouts make it much easier. As with individual shapes you can can set the text, the shape color, the shape and the orientation. 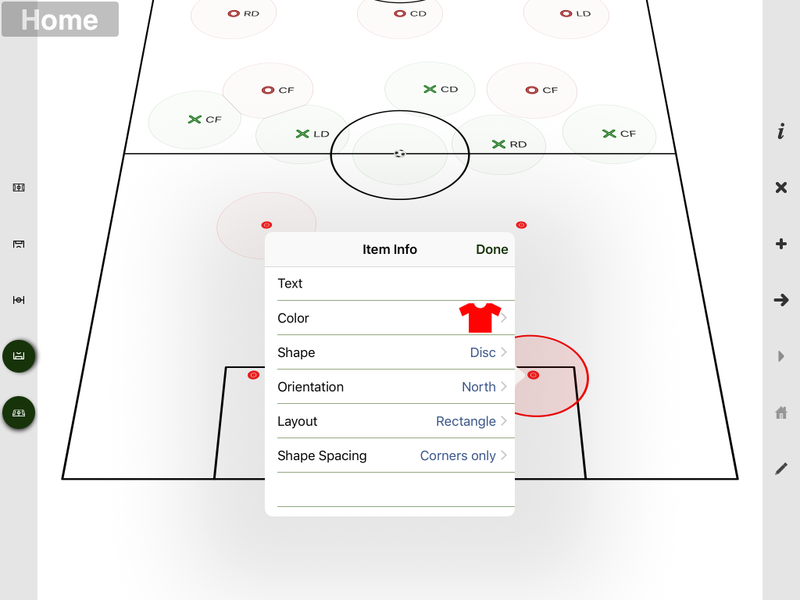 By default, the layout is displayed with a shape at each corner. And achieve some interesting effects!